Lake Worth City, Palm Beach County, Florida derived its name from the Lake Worth Lagoon, a body of water along the city’s eastern border. This multi-cultural and dynamic 7-mile city with strong environmental and social consciousness is home to 37,000 residents. The downtown area of Lake Worth is considered as the city’s artistic soul where a museum, historic theater, art galleries, coffee houses, retail stalls, antique malls and numerous restaurants can be found. Commercial and industrial epoxy floors are more popular today than ever. Epoxy is a strong and hardwearing flooring material. It is a mixture of a resin and hardener that produce a chemical reaction resulting into a material that adheres very well with the concrete surface. This type of epoxy flooring system can be installed over, old, damaged, cracked as well as new concrete. Self-leveling epoxy creates a durable, seamless, low maintenance and smooth flooring system that have resistance to abrasion, heat, chemical spills and slips. It has aesthetic appeal, too. Self-leveling epoxy flooring system is ideal for showrooms, kitchens, commercial garages, athletic facilities, manufacturing facilities and warehouses, office buildings and aircraft hangars among others. Self-dispersing epoxy flooring system is often used in high foot and equipment traffic areas because of its strength and durability. This flooring surface is ideal for areas that need frequent cleaning. Quartz sand is usually added to create an anti-slip flooring system. Self-dispersing epoxy flooring system is ideal for food processing facilities or facilities where liquids are also present due to its high anti-slip properties. It is also ideal for facilities that have frequent and high heavy truck and forklift traffic such as warehouses and other manufacturing facilities. This is the strongest and toughest of all epoxy flooring systems. 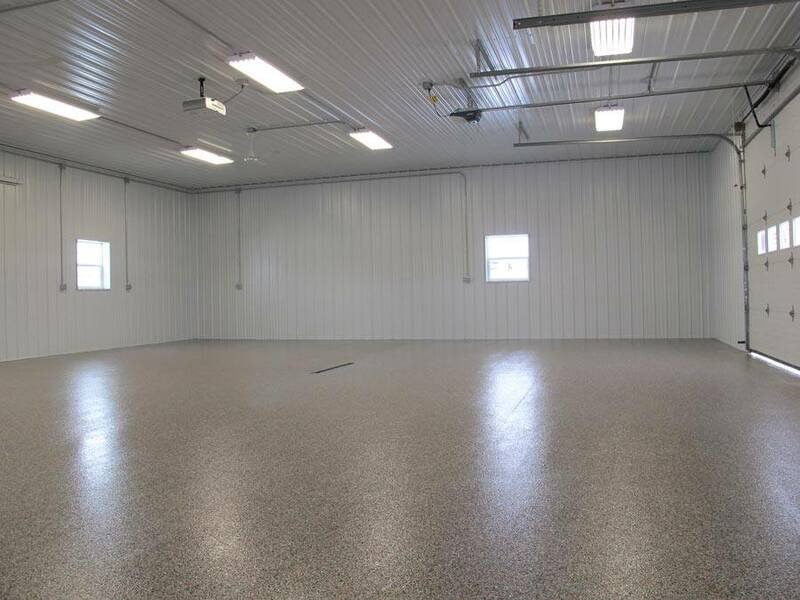 This epoxy flooring system consist of 100% solid epoxy mixed with quartz sand or graded sand troweled in place. 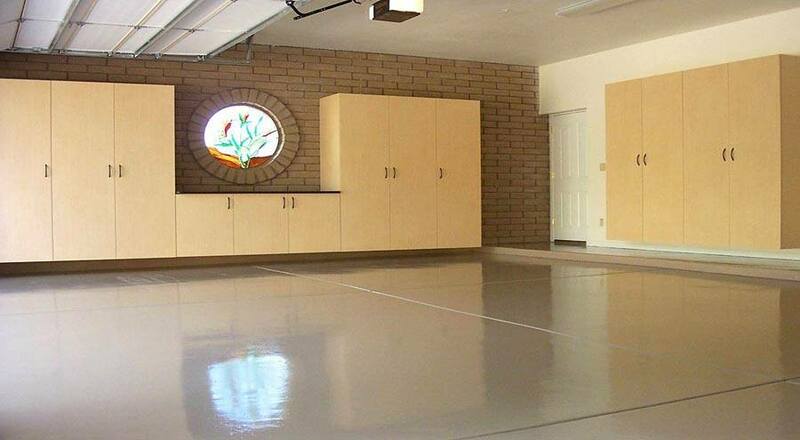 This process creates durable, chemical resistant and high impact epoxy flooring. This flooring system is ideal for facilities that have high foot and heavy equipment traffic such as warehouses and manufacturing facilities. This type of epoxy flooring can also be used to repair cracks and damages in concrete before applying other epoxy flooring systems. This type of epoxy flooring system provides high aesthetic appeal while being durable, slip resistant and easy to clean. This is the epoxy flooring system to use in restaurants, hotel entrances, building lobbies and schools among others. This is the most decorative type of epoxy flooring. This flooring system allows the incorporation of brand marks, company logos and other decorative details in the concrete surface. Graveled epoxy flooring is ideal for schools, hospitals, office building, hotel entrances, retail stores and malls among others. This type of epoxy flooring system protects delicate electronic equipment from possible damage due to exposure to electro-static charge (ESD) in working environments that are sensitive to static.This type of epoxy flooring system is ideal for chemical plants, electronic equipment manufacturing –plants, hospitals, pharmaceutical facilities and laboratories that require a static-free environment. This type of epoxy flooring system is decorative in nature and adds grip to the floor to make it anti-slip. This flooring system proves an indestructible performance. Epoxy terrazzo flooring is ideal for entrances and hallways of hotels, malls, large restaurants, large retail stores, office and school buildings and other large spaces. This epoxy flooring system comes with added flakes and chips to create multi-colored and vibrant floors. This seamless flooring system is durable and long lasting. The flakes and chips not only provide more color and décor but also slightly roughen the surface to give the floor anti-slip features. Epoxy flakes and chips are available in numerous colors, textures and sizes. This epoxy flooring system is ideal for auto showrooms, commercial kitchens, veterinarian clinics, sports venues locker rooms, Laundromats among others. This type of flooring system gives the floor an exotic look with added gloss, visual effect and depth of colors. It can even have a 3-dimenssional appearance to create illusions of swirling rivers of metallic plasma, ripples and craters. This durable and hardwearing epoxy flooring system is ideal for showrooms, retail stores and night clubs among others. This epoxy flooring system combines epoxy material with colored quartz granules to create a decorative, slip resistant and durable flooring system. This flooring system is ideal for schools, locker rooms, cafeterias, light manufacturing facilities, auto showrooms, hotel and office building lobbies among others. With these many types of epoxy flooring systems there is one that will surely meet the requirements of your commercial or industrial spaces.